The Legislature continued with a packed schedule on Day 65. More stuff than we can keep track of happened, but here’s a few of the items that caught our attention. 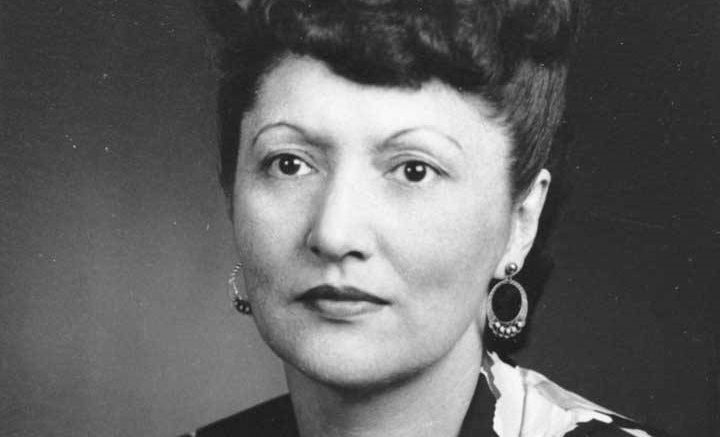 The House passed House Joint Resolution 9 on Wednesday, calling for the U.S. Mint to make at least 5 million of the upcoming $1 coins honoring Alaska civil rights leader Elizabeth Peratrovich and ensure the coins make it into wide circulation in Alaska. The plan to print the coin was announced in 2017 as part of the U.S. Mint’s $1 coin program honoring Native Americans and is set to released starting in 2020. House Joint Resolution 9 specifically calls for the minting of 5 million such coins and for them to be delivered to the Seattle National Reserve to be distributed to banks in Alaska. It also calls for the feds to continue with a campaign encouraging businesses to accept and dispense the coins. The resolution was carried on the floor by Rep. DeLena Johnson, R-Palmer, on behalf of a group of 4H kids who visited the capitol to push for the broader recognition of Peratrovich’s civil rights work, which included her advocacy for the 1945 anti-discrimination law passed by the Alaska Territorial Legislature. It was the first such measure passed anywhere in the United States and 2020 will mark its 75th anniversary. Rep. Tiffany Zulkosky, D-Bethel, thanked Johnson and the students for their work. Many other members spoke in support of the measure, including southeast Reps. Andi Story and Jonathan Kreiss-Tomkins who both said the work of Peratrovich, a Tlingit, continues to be an integral part of pride and inspiration in area. The lone no vote was none other than Rep. David Eastman, who called it an “ongoing love affair with political correctness” and criticized the further use of coins. While some members delivered rebukes in of Eastman in their speeches, the most stinging came from Rep. Chuck Kopp, R-Anchorage, whose speech reminded us that Eastman grew up in Orange County, California. The resolution now heads over to the Senate for consideration. Things at the Alaska Psychiatric Institute continue to deteriorate with the latest news being that the facility’s final three psychiatrists are all resigning, according to the Anchorage Daily News. The revelation emerged during a court hearing on Wednesday, where Dr. Deborah Guris said her final day with the hospital will be on May 3. “I don’t want to abandon my patients, but I also do not want to work somewhere that I can’t ethically care for my patients,” she said. The ADN account of the hearing details how things have appeared to only get worse in the last few months following an exodus of doctors from the facility, which began when two psychiatrists were fired by Gov. Michael J. Dunleavy for refusing to sign a loyalty pledge. None of the positions have been replaced, the administration has said in recent legislative hearings. This all comes as the administration is pushing ahead with the a sole-source, no-bid contract awarded to the private, for-profit Wellpath, which is known largely for its lawsuit-riddled history of running prison hospitals. The steps of the capitol building were the scene of another big show of support for the Alaska Marine Highway System on Wednesday, drawing hundreds in opposition to a proposal by Gov. Michael J. Dunleavy that would see state funding for the system expire on Oct. 1. The event was organized by the Alaska Public Employees Association. The Alaska ferry system is one of the most polarizing cuts proposed by Dunleavy so far, drawing hundreds of people to testify in support at hearings hosted by the House Transportation Committee. Southeast legislators, including Senate Finance Committee co-chair Bert Stedman, have called the governor’s plan that effectively ends ferry service unacceptable and said changes will be made that preserve service in some form or another. 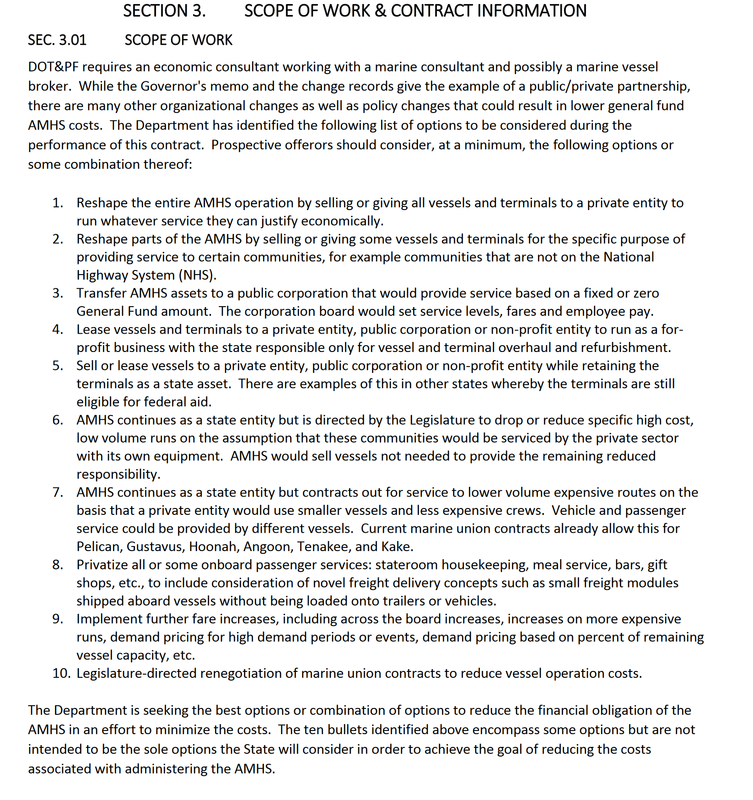 Speaking of ferries, the state has extended canceled and reopened a public request for proposal for a study on what to do with the Alaska Marine Highway System after its first proposal period ended with a single application that reportedly came up short. Lease the vehicles and terminals to a public, private or nonprofit company for operation. Privatize onboard services like housekeeping, meal service and gift shops. Though the contract is titled as an “economic reshaping consultant” there’s asking for a new look at the impact any of this would have on the Alaska economy itself. A previous study commissioned during the Walker administration suggested that for every dollar the state spent on the ferry was returned as two dollars to the state economy. The RFP asks that the new analysis “incorporate pertinent information” from the previous studies. Better hurry, the deadline to get in you proposal is April 2. Be the first to comment on "AKLEG Day 65: House calls for wide distribution of Elizabeth Peratrovich coin in Alaska"